TLJ News: April 1-5, 2013. 4/5. The Department of Labor's (DOL) Bureau of Labor Statistics (BLS) released employment data for the U.S. for the month of March 2013. The BLS stated in a release that the seasonally adjusted unemployment rate in the US in March was 7.6%. This is a decrease from February, when it was 7.7%. Overall Employment Data. A drop in the unemployment rate is good. However, the underlying data for March show substantial economic weakness, and a worsening employment picture. On the bright side, the unemployment rate dropped, and the BLS estimated that employment increased by 88,000. On the other hand, the BLS collects employment data in two ways -- by a survey of employers (see, BLS Table B-1), and by a survey of individual households (see, BLS Table A-1). The employer survey produced the estimate of a gain of 88,000. The household survey produced an estimate that total employment fell by 206,000, from 143,492,000 in February to 143,286,000 in March. It is this household survey data that the BLS uses to calculate the unemployment rate. So, how can the BLS report a huge drop in the number of people with jobs, but also report a drop in the unemployment rate? Simply put, the BLS also shifted almost one half million people out of the workforce in March. The BLS reported that the number of people in the workforce dropped from 155,524,000 in February to 155,028,000 in March. It also reported that the workforce participation rate dropped from 63.5% in February to 63.3% in March. During the 1960s, 1970s and 1980s, as large numbers of women entered the workforce, the participation rate climbed slowly but steadily from about 59% to about 67%. There was an 8% gain over three decades. In the past four years, the participation rate has dropped by almost 3 percentage points. There are likely to be numerous consequences for political attitudes, voting behavior, and policy outcomes, including tech policy. There is a large and growing number of able bodied and trained workers who no longer have jobs. They no longer count in calculating the unemployment rate, but they still vote. Politicians and protectionists may seek their support by casting blame for their lack of employment on foreign competition. This may result in policies that undermine free trade, and the free flow of services, capital, data, and tech workers. This would further harm tech companies and workers, and consumers, both in and outside of the US. See also, story titled "Commentary: Unemployment Rate, Participation Rate, and Tech Policy" in TLJ Daily E-Mail Alert No. 2,505, January 8, 2012. Janet Yellen, Vice Chairman of the Federal Reserve Board (FRB), gave a speech in Washington DC on April 4, 2013 in which she discussed at length the employment rate, and the FRB's target unemployment rate, without mentioning trends in labor force participation, discouraged workers, or early retirements. Keith Hall, who was Director of the Bureau of Labor Statistics from 2008 through 2012, will give a luncheon speech on April 11 to the National Economists Club titled "How has the Measured Unemployment Rate Performed during the Great Recession?". See, notice. Tech Related Employment Data. The BLS data shows that employment in legal services and most technology related categories was flat in March. However, the long term growth trend in computer systems design continued. The BLS reported total employment in the category of "Computer systems design and related services" increased in March by 3,900. It is up 79,100 from March of 2012. Source: BLS, April 5, 2013 employment report, Table B-1. 4/5. The Federal Communications Commission (FCC) released a Public Notice [3 pages in PDF] that announces the imposition of certain limitations on the filing and processing of modification applications by broadcasters. This PN states that "We find that the imposition of limits on the filing and processing of modification applications is now appropriate to facilitate analysis of repacking methodologies and to assure that the objectives of the broadcast television incentive auction are not frustrated." Different organized interests have different views regarding repacking. The incentive auctions bill enacted in February of 2012 requires that the FCC "make all reasonable efforts to preserve, as of the date of the enactment of this Act, the coverage area and population served of each broadcast television licensee, as determined using the methodology described in OET Bulletin 69". See, OET Bulletin 69 [15 pages in PDF], titled "Longley-Rice Methodology for Evaluating TV Coverage and Interference", and dated February 06, 2004. The above quoted requirement is in Section 6403(b)(2) of HR 3630, [LOC | WW], the "Middle Class Tax Relief and Job Creation Act". The FCC issued a Notice of Proposed Rulemaking (NPRM) last fall. In addition, the FCC's Office of Engineering and Technology's (OET) issued a Public Notice [8 pages in PDF] on February 4, 2013 that revises OET Bulletin 69. Broadcasters, whom the FCC is counting on to voluntarily relinquish spectrum, vehemently oppose these proposed changes to OET Bulletin 69. The National Association of Broadcasters (NAB) and commercial broadcasters filed a comment [22 pages in PDF] on April 5 in which they stated that they "object to OET's proposal because it is expressly forbidden by Section 6403(b)(2) of the Spectrum Act; because it violates regulations requiring that any such changes be made by the full Commission following formal notice and comment; and because it constitutes arbitrary and capricious agency action". Similarly, the Association of Public Television Stations (APTS), Corporation for Public Broadcasting (CPB), and Public Broadcasting Service (PBS) submitted a comment [6 pages in PDF] opposing proposals contained in the FCC's February 4 Public Notice. They wrote that the proposals would "significantly alter the coverage area and population served for many television stations", "would create widespread uncertainty for stations and would make it difficult for public television stations to serve their mission of providing all Americans with important free, noncommercial television services". Moreover, the public broadcasters wrote, the proposals are contrary to the mandate of the statute. In contrast, last month the Consumer Electronics Association (CEA) submitted a comment [20 pages in PDF] in support of the proposals contained in the February 4 Public Notice. The CEA wrote that the PN contains "an important piece of the incentive auction puzzle", and that the FCC "should move forward with its plan". Similarly, the CTIA submitted a comment [23 pages in PDF] in support. The just released FCC Public Notice on limiting modification applications states that "The repacking methodology the Commission ultimately adopts will be a critical tool in reorganizing the broadcast TV spectrum pursuant to the statutory mandate. Additional development and analysis of potential repacking methodologies is required in light of the technical, policy, and auction design issues raised in the rulemaking proceeding." It announces that "Beginning immediately, and until further notice, the Media Bureau will not accept for filing modification applications (or amendments to pending modification applications) by full power and Class A television broadcast licensees and permittees for changes to existing television service areas that would increase a full power station's noise-limited contour or a Class A station's protected contour in one or more directions beyond the area resulting from the station's present parameters as represented in its authorizations (license and/or construction permit)." The Media Bureau "will consider, on a case-by-case basis, requests for waiver of the filing limitation imposed by this Public Notice when a modification application is necessary or otherwise in the public interest for technical or other reasons to maintain quality service to the public, such as when zoning restrictions preclude tower construction at a particular site or when unforeseen events, such as extreme weather events or other extraordinary circumstances, require relocation to a new tower site." The just released PN is DA 13-618 in GN Docket No. 12-268. 4/5. The Technology Policy Institute (TPI) released a paper [19 pages in PDF] titled "Two Cheers for the FCC's Mobility Fund Reverse Auction". The author is the TPI's Scott Wallsten. The FCC conducted its Auction 901 in September of 2012, allowing service providers to bid the subsidy they would accept to provide service, with the FCC then subsidizing the lowest bidder. It is AU Docket No. 12-25. Wallsten wrote that this auction "demonstrated that the FCC can run an effective reverse auction and demonstrated that allocating subsidies based on cost-effectiveness measures has the potential to dramatically increase the bang for the buck we get from universal service expenditures." However, he added that "with very few regions receiving multiple bids the auction highlighted the difficulty in generating participation. Additionally, the pay-as-bid feature of the auction may create problems for upcoming auctions because it can create incentives for participants to bid strategically." He concluded that "The FCC should consider employing other auction mechanisms more likely to induce firms to reveal their true estimates of the subsidies necessary to provide service." 4/5. The U.S. China Economic and Security Review Commission, also known as the USCC, released its latest monthly report titled "Monthly Summary of U.S.-China Trade Data". It contains data on trade between the United States and the People's Republic of China (PRC) for the month of February 2013. It states that "The U.S. trade deficit with China in advanced technology products has increased by $1.5 billion over the same period last year. The bulk of the deficit continues to be in the information & communications sector." This report also states that HR 933 [LOC | WW], an appropriations act enacted late last month that limits IT acquisitions by certain federal departments and agencies from PRC entities "has sparked heated debates". See, related story in this issue titled "Appropriation Act Limits Federal Government Acquisitions of PRC IT". This report also addresses the prospects for any PRC complaint with the World Trade Organization (WTO). "The Chinese government could challenge the law at the WTO because the language of the bill specifies systems being sourced from China. Any such challenge might be complicated by the fact that, unlike the U.S., China is not a signatory to the WTO's government procurement agreement (GPA). Furthermore, the GPA contains a national security exemption." 4/5. The Department of Justice's (DOJ) Antitrust Division filed its brief [180 pages in PDF] with the U.S. Court of Appeals (9thCir) in US v. AU Optronics, an appeal from the criminal convictions of AU Optronics and others in the DOJ's long running thin film transistor liquid crystal displays (TFT-LCD) price fixing cases. See, story titled "DOJ Seeks Billion Dollar Fine and 10 Year Prison Sentences in LCD Price Fixing Case" in TLJ Daily E-Mail Alert No. 2,447, September 13, 2012. The U.S. District Court (NDCal) sentenced AU Optronics to pay a fine of $500 Million. In addition, it sentenced Hsuan Bin Chen and Hui Hsiung to serve three years in prison and to pay $200,000 fines. This case is US v. AU Optronics Corporation, et al., U.S. Court of Appeals for the 9th Circuit, App. Ct. Nos. 12-10492, 12-10493, 12-10500, and 12-10514, appeals from the U.S. District Court for the Northern District of California, Judge Susan Illston presiding. 4/5. The Department of Commerce (DOC) published a notice in the Federal Register (FR) that announces the the Board of Directors of the First Responder Network Authority, or FirstNet, will meet on June 4, 2013 from 8:30 to 11:30 AM in Westminster, Colorado. See, FR, Vol. 78, No. 66, April 5, 2013, at Page 20619. 4/5. The U.S. Patent and Trademark Office (USPTO) published a notice in the Federal Register (FR) that announces and requests comments on its MyUSPTO, a planned customer portal that will serve as a central point for access to online system interfaces and submission of information to the USPTO. The deadline to submit comments to the USPTO is June 4, 2013. See, FR, Vol. 78, No. 66, April 5, 2013, at Pages 20619-20620. 4/4. The Federal Communications Commission (FCC) released a Public Notice [1 page in PDF] that announces that the FCC will host an event on May 3, 2013 in its incentive auctions rulemaking proceeding. The FCC's PN states that this event is a "workshop", and that its purpose is "to discuss technical aspects of the 600 MHz band plan that will result from the broadcast television incentive auction". Early last year, the 112th Congress enacted HR 3630, [LOC | WW], the "Middle Class Tax Relief and Job Creation Act". This Act, among other things, authorized the FCC to conduct incentive auctions. The FCC adopted a Notice of Proposed Rulemaking [205 pages in PDF] on September 28, 2012 (released on October 2) to implement the incentive auctions portion of this act. This NPRM is FCC 12-118 in GN Docket No. 12-268. See also, story titled "FCC Adopts NPRM on Incentive Auctions" in TLJ Daily E-Mail Alert No. 2,455, October 1, 2012. This NPRM explains that "The incentive auction of broadcast television spectrum will have three major pieces: (1) a ``reverse auction´´ in which broadcast television licensees submit bids to voluntarily relinquish spectrum usage rights in exchange for payments; (2) a reorganization or ``repacking´´ of the broadcast television bands in order to free up a portion of the ultra high frequency (UHF) band for other uses; and (3) a ``forward auction´´ of initial licenses for flexible use of the newly available spectrum." This NPRM elaborates that creating a band plan from relinquished broadcast spectrum usage rights in the 600 MHz band presents unique challenges. "The forward auction’s interdependence with the reverse auction and the repacking mean that we will not know in advance the amount of spectrum we can make available in the forward auction, the specific frequencies that will be available and, perhaps, the geographic locations of such frequencies." "Therefore, instead of a band plan with identified frequencies, a set number of spectrum blocks and a uniform set of geographic area licenses, we must establish a band plan framework that is flexible enough to accommodate varying amounts of spectrum from relinquished broadcast television spectrum usage rights in different locations. At the same time, the band plan must provide as much information and certainty as possible, to enable interested wireless providers to make informed business decisions about whether, and how, to bid for and use 600 MHz spectrum." The FCC will hold this May 3 event in the Commission Meeting Room. The FCC has not announced the time. This PN is DA 13-614 in GN Docket No. 12-268. Also, on April 5 the FCC announced limitations on filing and processing of modification applications in advance of the broadcast television incentive auctions. See, related story in this issue titled "FCC Imposes Limits on Broadcast TV Modification Applications". 4/4. The Executive Office of the President's (EOP) Office of Management and Budget (OMB) released a memorandum [17 pages in PDF] for the heads of executive departments and agencies regarding federal government use of social media web sites. The underlying issue is that operators of social media web sites also attach terms of service (TOS) with numerous far reaching clauses, including indemnification by users. Use of these web sites requires an action, such as clicking a box that states that one has read and agrees to the TOS. However, an opinion (attached to this memorandum) issued by the Department of Justice's (DOJ) Office of Legal Counsel (OLC) on March 12, 2012, stated that federal employees with actual authority to contract on behalf of the government violate the Anti-Deficiency Act (ADA) by entering into such indemnification obligations. The ADA, which is codified at 31 U.S.C. § 1341, provides in part that "An officer or employee of the United States Government ... may not ... make or authorize an expenditure or obligation exceeding an amount available in an appropriation or fund for the expenditure or obligation", or involve the "government in a contract or obligation for the payment of money before an appropriation is made unless authorized by law". The memorandum states that "agencies already should have in place policies governing employees' use of social media platforms, and these policies already should require agency approval before an employee may open an agency account for a social media application". It also states that "If the TOS for a social media product include an open-ended indemnification clause, then the agency must renegotiate the TOS with the provider or obtain another product whose TOS do not include the open-ended indemnification clause." Also, it announces that the OMB "has requested that the Federal Acquisition Regulatory Council (FAR Council) undertake a rulemaking-through the issuance of an interim rule-to amend the Federal Acquisition Regulation (FAR) to require contracting officers to put contractors on notice that any TOS, EULA, or other agreement requiring the government or government-authorized end user to indemnify the contractor for damages, costs, or fees incurred is unenforceable against the government or end-user and will be read out of the agreement to prevent violations of the Antideficiency Act." This memorandum also states that federal departments and agencies should comply with an attached memorandum of the Government Services Administration (GSA) titled "GSA Guidance for Reviewing Terms of Service for Social Media Products and Services". The GSA memorandum lists some pre-approved social media -- Facebook, YouTube, Linkedin, Blogger, Flickr, SurveyMonkey, and WordPress. 4/4. Hewlett Packard (HP) announced in a release that Raymond Lane "has decided to step down" as Chairman of the Board of Directors, and will be "replaced on an interim basis" by Ralph Whitworth. HP also announced that John Hammergren and Kennedy Thompson "decided to leave the board", after the May 2013 Board meeting. 4/4. The New America Foundation (NAF) announced that its next President will be Anne-Marie Slaughter. (Princeton University). She will begin on September 1, 2013. She will replace Steve Coll. See, NAF release. 4/3. The Office of the U.S. Trade Representative (OUSTR) released a report [24 pages in PDF] titled "2013 Section 1377 Review On Compliance with Telecommunications Trade Agreements". Demetrios Marantis (at right), the acting USTR, stated in a OUSTR release that "Recent years have witnessed a growing trend among our trading partners to impose localization barriers to trade designed to protect, favor, or stimulate domestic industries, service providers, or intellectual property (IP) at the expense of imported goods, services, or foreign-owned or developed IP -- and this trend is evident in the telecommunications sector". He added that this report "highlights the concern that U.S. equipment manufacturers may be disadvantaged by the growing use of local content requirements in countries such as Brazil, India, and Indonesia". This report states that it "addresses several general themes: Internet-enabled trade in services, including cross-border data flows and Voice over Internet Protocol (VoIP) services; independent and effective regulators; limits on foreign investment; competition; international termination rates; satellite services and submarine cable systems; telecommunications equipment trade; and local content requirements." It states that "The United States and other countries have benefitted greatly from the growth in trade in digital goods and services enabled by the Internet. Open access to networks and the free flow of data across borders are critical to the success of the Information and Communications Technology (ICT) services sector. Restrictions on the movement of data can present significant barriers to trade in services. While there may be legitimate reasons for governments to impose certain restrictions on the data flows, such as the protection of privacy, such restrictions can be overbroad, having the unintended effect of unnecessarily restricting trade." The report adds that "In some instances, the restrictions are intended to create a preference for local suppliers." But, it names no countries. The report finds that "Government restrictions that block VoIP services, require VoIP providers to partner with a domestic supplier, or impose onerous licensing regimes for the provision of VoIP services unnecessarily restrict trade and investment." But, it lists no countries. Next, the report identifies the "lack of independence and the ineffectiveness of telecommunications regulators as trade barriers". Here, it lists the People's Republic of China (PRC), whose "regulator, the Ministry of Industry and Information Technology (MIIT), makes little attempt to act as a neutral arbiter among market participants and has effectively shielded state-owned Chinese operators from competition, both domestic and foreign." The report also identifies "foreign investment limits, typically in the form of limits on the percentage of equity a foreign firm is allowed to control, as a prevalent trade-distortive barrier". It names the PRC, along with Canada and Mexico, as countries that impose such limits. This OUSTR also addresses the PRC mobile services market. "Early in 2013, MIIT proposed measures to open up the possibility of licensing resellers of mobile services. ... This proposal is noteworthy in three respects: (1) it may inject welcomed market access opportunities into a basic telecommunications sector that MIIT consolidated several years ago into three State-owned, integrated operators; (2) it appears to be the first time the Chinese government will have tolerated wholly-private operators entering this sector, marking a significant departure from a 2001 State Council Decree (Decree 291) that USTR has contested and which required mobile operators to be majority state-owned; and (3) it implicitly recognizes the infeasibility of attracting new entrants in the sector under an extant rule that sets capitalization rates in the basic telecommunications sector at over USD $100 million. As a general matter, these three aspects of China’s telecommunications regulatory regime, in addition to other, informal bans on new foreign licenses, have all but ensured that the sector categorized as basic has been bereft of foreign participation." "Unfortunately", the report continues, "MIIT's proposed rules appear to exclude foreign-invested enterprises from participation in the pilot program, by limiting participation to Chinese-invested enterprises. USTR has formally expressed strong concerns to China regarding this exclusion. Given the contribution foreign-invested companies could make, MIIT's proposed rules are both short-sighted and raise concerns relating to China’s WTO commitments." The report also addresses telecommunications equipment trade issues involving the PRC, including that the PRC might mandate an encryption standard for 4G LTE telecommunications equipment, and that its "Multi-Level Protection Scheme" or MLPS for information security in critical infrastructure "could adversely affect sales by U.S. information technology suppliers in China". 4/3. 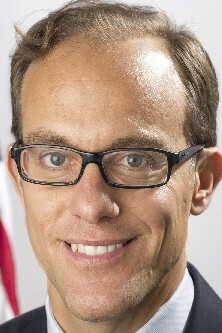 Marc Fagel, head of the Securities and Exchange Commission's (SEC) San Francisco office, will leave the SEC. See, SEC release. 4/3. The U.S. Patent and Trademark Office (USPTO) published a notice in the Federal Register (FR) that announces, describes, recites, and sets the effective date for, the new USPTO Rules of Professional Conduct. The effective date is May 3, 2013. See, FR, Vol. 78, No. 64, April 3, 2013, at Pages 20179-20211. 4/3. The Public Knowledge (PK) released a paper [4 pages in PDF] titled "The Wrong Tool for the job: Data Caps, Price Discrimination, and Bandwidth Pricing". 4/2. The Securities and Exchange Commission (SEC) released a report [8 pages in PDF] that announces that it will "not to pursue an enforcement action" against either Netflix or its CEO, Reed Hastings, on account of Hastings having used Facebook last summer. The report also provides guidance for public companies on using social media. One of the key points is that if a publicly traded company plans to disseminate material non-public information via social media, it should first disclose to investors which social media it plans to use for this purpose. Netflix filed a Form 8-K with the SEC on December 5, 2012, that disclosed that the SEC is investigating Netflix because Hastings posted short items in Facebook last summer announcing that Netflix had reached one "billion hours per month". See, story titled "The SEC Strikes Again" in TLJ Daily E-Mail Alert No. 2,486, December 8, 2012. The SEC has a history of bringing meritless but high publicity cases against famous and wealthy founders of technology and web based companies, such as Mark Cuban, Henry Samueli, Martha Stewart and Sam and Charles Wyly. Hence, there was the possibility that the SEC might bring another unjustified action against Netflix or Hastings. However, with this report, the SEC has announced that it will not pursue Netflix or Hastings. This report is also significant because it provides guidance going forward regarding use of social media by public companies. Such guidance is important because the SEC's Regulation FD is outdated. Moreover, the SEC's August 7, 2008 release [47 pages in PDF] titled "Guidance on the Use of Company Web Sites" did not address Facebook or social media. The SEC wrote in this report that "public companies are increasingly using social media to communicate with shareholders and the market generally", but that the SEC "has not explicitly addressed the application of Regulation FD and the 2008 Guidance to disclosures made through social media channels". It explained that "Regulation FD provides that when an issuer, or a person acting on its behalf, discloses material, nonpublic information to securities market professionals or shareholders where it is reasonably foreseeable that they will trade on the basis of the information, it must distribute that information in a manner reasonably designed to achieve effective broad and non-exclusionary distribution to the public.3 When the disclosure of material, nonpublic information is intentional, distribution of the same information to the public must be made simultaneously. When the disclosure of material, nonpublic information is inadvertent, distribution of the same information to the public must be made promptly afterwards." The SEC wrote that "issuer communications through social media channels require careful Regulation FD analysis comparable to communications through more traditional channels". The SEC also wrote that "the principles outlined in the 2008 Guidance -- and specifically the concept that the investing public should be alerted to the channels of distribution a company will use to disseminate material information -- apply with equal force to corporate disclosures made through social media channels". It stated that although the 2008 guidance addressed web sites, it "continues to provide a relevant framework for applying Regulation FD to evolving social media channels of distribution". This document is titled "Report of Investigation Pursuant to Section 21(a) of the Securities Exchange Act of 1934: Netflix, Inc., and Reed Hastings". See also, story titled "Netflix Sued Over Hastings' Facebook Posting" in TLJ Daily E-Mail Alert No. 2,526, February 20, 2013. 4/2. 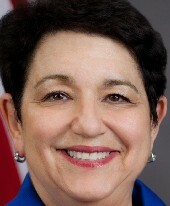 Mary Schapiro, who was the Chairman of the Securities and Exchange Commission (SEC) from 2009 through the end of 2012, joined the Promontory Financial Group (PFG) as a Managing Director. See, PFG release. 4/2. Lawrence Strickling, head of the Department of Commerce's (DOC) National Telecommunications and Information Administration (NTIA), wrote a short piece titled "Moving Together Beyond Dubai". He wrote that the U.S. government remains "committed to the multistakeholder model as the appropriate process for addressing Internet policy and governance issues". 4/1. The U.S. Court of Appeals (2ndCir) issued its divided opinion [62 pages in PDF] in WNET v. Aereo and ABC v. Aereo affirming the order of the U.S. District Court (SDNY) denying Aereo's motion for a preliminary injunction. The majority held that Aereo's service, which captures, stores, and almost immediately retransmits broadcasters' programming, without license, to its own customers, for a fee, via a multitude of antennas, is not a public performance with the meaning of the Copyright Act, and hence, does not infringe the exclusive rights of broadcasters. The dissent argued that Aereo's system is a sham, functionally equivalent to a cable system, constructed solely to exploit a perceived loophole in the Copyright Act, that must be viewed as a public performance in violation of the exclusive rights of broadcasters. 4/1. Elisse Walter of the Securities and Exchange Commission (SEC) gave a speech at the George Washington University in which she addressed online pump and dump schemes, and the SEC's refusal to comply with it statutory mandate to write implementing rules to facilitate crowd funding. Walter holds one of the Democratic seats on the Commission. President Obama has designated her Chairman, while the Senate considers his nomination of Mary Jo White to be the next Chairman. The previous Chairman was Mary Schapiro. Crowd Funding and the JOBS Act. Walter mentioned the "JOBS Act", and acknowledged that the "SEC is charged with implementing" it. The 112th Congress enacted HR 3606 [LOC | WW], the "Jumpstart Our Business Startups Act" or "JOBS Act". President Obama signed it into law on April 5, 2012. Its purpose is to incent the creation of new companies, and facilitate their raising of capital, particularly in the technology sector. Title III of the JOBS Act is titled the "Capital Raising Online While Deterring Fraud and Unethical Non-Disclosure Act of 2012" or "CROWDFUND Act". The CROWDFUND Act requires that the SEC write implementing regulations "Not later than 270 days after the date of enactment of this Act". However, the SEC has failed to comply with this statutory requirement. Walter said that "Some say it could lead to rampant fraud", and that "investors afraid of financial fraud simply won't contribute the capital entrepreneurs need". It was a long speech in which she frequently lauded the excellent work for SEC regulators, and barely mentioned the statutes that it is tasked with enforcing and implementing. Walter (at right) stopped short of asserting that the SEC is not bound by an Act of Congress. Online Pump and Dump Schemes. Walter said that "One emerging area of concern ... is the use of social media to support fraudulent schemes -- bringing what are called ``boiler room´´ scams into chat rooms, Facebook pages, Twitter feeds, and your inbox." She said that phone based pump and dump schemes have moved online. "Today, instead of calling you on the phone, these fraudsters are increasingly likely to send you unsolicited e-mails, lurk in chat rooms talking up favored stocks, or tweet their ``inside information.´´"
"Another new approach is to create an online investor newsletter feigning objectivity but, instead, using its apparent authority to boost the price of selected stocks. These newsletters might even be advertised in legitimate journals." "But they serve the same purpose as the cold calls and chat room tips: to artificially inflate share prices just long enough for someone to take the profit and walk away." 4/1. Euclid sent a letter [10 pages in PDF] to Sen. Al Franken (D-MN) that responds to the Senator's letter to Euclid dated March 13, regarding tracking consumers' smart phones in shopping malls. Sen. Franken (at right) wrote on March 13 that "your company's technology can track consumers as they walk past a store, enter a store, or move between its floors by tracking a permanent and unique hardware number transmitted by those consumers' smartphones. This tracking occurs on an opt-out basis: unless someone visits your website and enters her information, Euclid's technology will track her." He added that "All of this would suggest that the movements of millions of Americans have been tracked in your clients' stores without those consumers' permission. I find this troubling." Euclid's Explanation of its Tracking Technology. Sen. Franken propounded numerous interrogatories. For example, he asked "Exactly how many unique smartphones has Euclid tracked in its clients' stores?" Euclid responded, "We have counted a total of 50 million Wi-Fi-enabled devices in our clients’ stores, 93% of which are located in the United States. We do not receive the necessary information to determine specifically whether a device is a phone, tablet, or laptop." Euclid compared its data collection to the practices of online stores. "With the advent of the Internet, there has been an explosion in online shopping. The analytical tools available to online retailers have enabled them to rapidly increase the effectiveness of their marketing, distribution, and sales. Using these insights, online stores are able to offer a more convenient and relevant shopping experience and now account for 5.2 percent of total U.S. retail sales. About three years ago, we founded Euclid to bring the advantages of the online customer experience to brick-and-mortar retailers." Eucid also explained that its tracking is anonymous, because "we have specifically prevented any linkage between data received by Euclid’s sensors and a store's checkout system and customer database. Euclid has no information, whatsoever, on whether a device owner has purchased anything or not, and we have made sure that our system never receives information such as a consumer's name, address, phone number, or email." Sen. Franken stated in response to Euclid's letter that "I believe that Euclid has a sincere desire to protect consumer privacy, and I'm pleased that they've pledged to do even more -- including a promise to never sell consumer data to data brokers. However, Euclid's use of opt-out location tracking -- regardless of whether a consumer actually enters a store equipped with this technology -- simply doesn't meet the standard of privacy Americans should be able to count on." Sen. Franken's Proposed Legislation. Sen. Franken added in his release that Euclid's "continued use of opt-out technology underscores the need for Congressional action to protect consumer location privacy." Sen. Franken also stated that he plans to re-introduce a bill that he introduced in the 112th Congress, S 1223 [LOC | WW], the "Location Privacy Protection Act of 2011". However, that bill, as introduced, and as marked up by the Senate Judiciary Committee (SJC) on December 17, 2012, is not primarily directed at the type of anonymous shopping center tracking practiced by Euclid. Rather, Sen. Franken has previously explained that S 1223 is directed at preventing stalking of specific individuals who carry wireless "electronic communications devices" that enable network wide tracking via Global Positioning System (GPS) data and cellular antenna connection records. However, S 1123 would reach Euclid's technology, because it also references tracking based upon "WiFi signals". S 1123 bill would amend the Electronic Communications Privacy Act's (ECPA) Stored Communications Act (SCA), which is codified at 18 U.S.C. §§ 2701-2712, by adding a new Section 2713, titled "Voluntary location tracking of electronic communications devices". This new section would limit commercial sale and distribution of geolocation data. However, this section would not affect access to geolocation information by government law enforcement, intelligence, public safety, or regulatory agencies. This section also includes exemptions for common carriers and cable companies. S 1223 would also add other new sections in Title 18 to create new criminal prohibitions regarding "Geolocation information used in interstate domestic violence or stalking" and "Sale of geolocation information of young children". 4/1. The Office of the U.S. Trade Representative (OUSTR) published a notice in the Federal Register (FR) regarding the recently begun negotiations between the US and European Union titled "Transatlantic Trade and Investment Partnership" or "TTIP". This notice announces that there will be a two day hearing on May 29 and 30, 2013 in the main hearing room of the U.S. States International Trade Commission, at 500 E St., SW. This notice also requests public comments, and sets a deadline to 12:00 Midnight on May 10. This is also the deadline to submit requests to testify at the hearing on May 29 and 30. This notice lists numerous subjects upon which the OUSTR seeks comments. For example, the OUSTR seeks information regarding "relevant trade-related intellectual property rights issues that should be raised with the EU" and "relevant electronic commerce and cross-border data flow issues that should be addressed in the negotiations". The OUSTR also seeks comments on investment and competition issues, and other matters. See, FR, Vol. 78, No. 62, April 1, 2013, at Pages 19566-19568. Officials in the US and EU announced these TTIP negotiations in February. See, stories titled "EU and US Announce Beginning of Transatlantic Trade and Investment Partnership Negotiations" and "Obama Mentions Trans Pacific Partnership Trade Agreement" in TLJ Daily E-Mail Alert No. 2,523, February 13, 2013. See also, story titled "Marantis Outlines Objectives of US EU TTIP Negotiations" in TLJ Daily E-Mail Alert No. 2,537, March 20, 2013. 4/1. The Office of the U.S. Trade Representative (OUSTR) released a report [93 pages in PDF] titled "2013 Report on Technical Barriers to Trade". See also, OUSTR release. This TLJ article focuses on technical barriers to trade (TBT) that affect information and communications technology (ICT). This OUSTR report does not identify any ICT related TBTs in the Japan, Taiwan or the European Union. It does identify some ICT TBTs in Korea and India. However, most of the significant ICT TBTs identified in this report are imposed in the People's Republic of China (PRC). The report states that "In various product sectors, certain governments are developing and implementing so-called ``voluntary´´ standards in a manner that effectively makes compliance with them mandatory. ... Further, oftentimes voluntary standards may solely reflect domestic stakeholder interests rather than also those of the larger global trading community." One example is the PRC's standards related to information security. The report states that the PRC government "is finalizing several draft ``voluntary´´ standards related to information security for ICT products. The United States is concerned China will make compliance with these voluntary standards mandatory, either through incorporation into technical regulations, or through integration into the certification and type approval schemes" of the PRC's MIIT and CNCA. The MIIT is the Ministry of Industry and Information Technology; see also, the US China Business Council's (USCBC) MIIT web page. The CNCA is the Certification and Accreditation Administration of China; see also, the USCBC's CNCA web page. The report elaborates that "One such standard, Information Security Technology -- Requirement for Office Devices Security, appears to restrict the use of computer chips in ink cartridges. U.S. and other foreign companies consider that this design restriction reduces the functionality of printers, and they question how the measure relates to the protection of national security. U.S. industry and the U.S. Government are concerned that China may effectively mandate the use of this standard by incorporating it by reference into one of China’s various certification regimes, for example, the CCC Mark or the MIIT telecom type approval process. U.S. industry is also concerned that various versions of the draft standard, including prohibitions of certain chips as components of printer cartridges, have diverged from the relevant international standard (IEEE 2600)." The report goes into more detail on TBTs imposed via the CNCA's CCC. "China's CNCA requires a single safety mark -- the CCC mark -- to be used for both Chinese and foreign products. U.S. companies continue to report, however, that China is applying the CCC mark requirements inconsistently and that many Chinese-produced goods continue to be sold without the mark. In addition, U.S. companies in some sectors continue to express concerns about duplication of safety certification requirements, particularly for radio and telecommunications equipment ..."
Next, the OUSTR report addresses the PRC's Wireless Local Area Networks (WLAN) Authentication and Privacy Infrastructure (WAPI) standard. It states that the US is concerned about the PRC's "2009 unpublished requirement that its WAPI wireless local area networks (WLAN) standard be used in mobile handsets, despite the growing commercial success of computer products in China that comply with the internationally recognized WiFi standard developed" by the Institute of Electrical and Electronics Engineers (IEEE). It continues that in 2011, the PRC's MIIT "remained unwilling to approve any Internet-enabled mobile handsets or similar hand-held wireless devices unless the devices were WAPI-enabled." Next, the OUSTR report addresses the PRC's ultra high throughput (UHT) and enhanced UHT (EUHT) standard. It states that "A new trade concern related to WiFi standards arose in 2011 when China published a proposed voluntary wireless LAN industry standard known as the ``UHT/EUHT standard´´ to be used in wireless networks." "China's UHT/EUHT standard appears to be an alternative to the internationally recognized IEEE 802.11n standard. MIIT released the UHT/EUHT standard for a 15-day public comment period on September 20, 2011 and approved it in February 2012. U.S. industry groups commented that the UHT/EUHT standard may not be compatible with either WAPI or the IEEE 802.11 standard. Separately, the United States expressed its concern to China that the integration of the UHT/EUHT standard into certification or accreditation schemes would make the standard effectively mandatory. This could restrict market access for U.S. producers." The report also addresses India's ICT TBTs. "In 2009 and 2010, India imposed new requirements in telecommunications service licenses, including mandatory transfer of technology and source codes as well as burdensome testing and certification for telecommunications equipment. Following extensive engagement with trading partners including the United States, India eliminated most of these requirements in 2011. In doing so, however, India adopted new telecommunications license amendments that continue to require, among other things, that as of April 2013, testing of all telecommunications equipment deemed to raise security concerns take place in India. The U.S. Government and industry continue to press India to reconsider the domestic testing policy and to adopt the international best practice of using international common criteria and accepting products tested in any accredited lab, whether located in India or elsewhere." Finally, the OUSTR report addresses two ICT TBTs in Korea. First, the report addresses the Korean Agency for Technology and Standards (KATS) IT safety regulations. It states that "U.S. industry has been working closely with KATS and the Radio Research Agency on the reorganization of safety regulations for information technology equipment. The United States has advocated for streamlined procedures that reflect the realities of contemporary manufacturing and would provide an appropriate level of safety certification for low-risk information technology equipment, such as printers and computers. KATS amended its regulations in July 2012, addressing many of the U.S. concerns, such as expanding the scope of products subject to a supplier’s declaration of conformity, and adopting the most current IEC standard. However, some concerns remain unaddressed. For example, the regulation does not allow for safety certifications to be made by a single multinational enterprise for all identical products; rather, the regulation requires separate certification with respect to each factory’s products. Currently, there is also no certificate renewal process. Furthermore, despite being a member of the IECEE CB scheme, KATS is not currently accepting CB reports without additional testing." Second, the report addresses Korea's specific absorption rate (SAR) labeling requirements. "In October 2012, Korea published and notified draft technical regulations that would establish two labeling categories for SAR levels (absorption of electromagnetic radiation) for mobile phones. Korea allows phones with a SAR level of 1.6 W/kg or less to be marketed in Korea. The proposed regulation, however, would establish two tiers within the allowable range: phones with a SAR of 0.8 W/kg or less would be labeled as ``Level 1,´´ while phones with a SAR between 0.8 and 1.6 W/kg would be labeled ``Level 2.´´ U.S. industry has submitted comments on the regulation raising concerns that there is no clear rationale or scientific basis for distinguishing between phones that meet the relevant safety regulation, and that the label could mislead, rather than inform, consumers by suggesting that there is a safety difference between the two categories. The United States has raised this concern with Korea in bilateral consultations and we will continue to do so 2013." 4/1. The Federal Communications Commission (FCC) released a Public Notice (PN) that requests comments regarding its policy on broadcast indecency. This PN does not announce any rules changes or policy changes. Rather, it requests comments regarding "whether the full Commission should make changes to its current broadcast indecency policies or maintain them as they are". This PN asks, "should the Commission treat isolated expletives in a manner consistent with" the April 29, 1987 Pacifica Foundation Memorandum Opinion and Order (MOO). Or, "Should the Commission instead maintain the approach to isolated expletives set forth in" the March 18, 2004 Golden Globe Awards Memorandum Opinion and Order (MOO). This PN is DA 13-581 and GN Docket No. 13-86. Initial comments will be due within 30 days of publication of a notice in the Federal Register. Reply comments will be due within 60 days of such publication. See also, the Supreme Court's June 21, 2012 opinion [23 pages in PDF] in FCC v. Fox Television Stations, and stories titled "Supreme Court Again Ducks First Amendment Issue in FCC v. Fox Television", "FCC to Resume Enforcement of Broadcast Indecency Policy" and "Reaction to Supreme Court Opinion in FCC v. Fox" in TLJ Daily E-Mail Alert No. 2,400, June 20, 2012. 4/1. The Federal Communications Commission (FCC) released a Fifth Report and Order [47 pages in PDF] regarding use of 800 MHz spectrum in the U.S.-Mexico border region. This order adopts "a reconfigured channel plan for the 800 MHz band along the U.S.-Mexico border based on the allocation plan in the Amended Protocol" and establishes "a 30-month transition period for licensees to complete rebanding in the National Public Safety Planning Advisory Committee (NPSPAC) Regions bordering Mexico". 4/1. The Federal Communications Commission (FCC) released Seventh Report and Order and Notice of Proposed Rulemaking [70 pages in PDF] regarding 700 MHz public safety narrowband spectrum (769-775/799-805 MHz). This item is FCC 13-40 in PS Docket No. 13-87, WT Docket No. 96-86, RM-11433, RM-11433, WT Docket No. 96-86, PS Docket No. 06-229, and RM-11577. Initial comments will be due within 60 days of publication of a notice in the Federal Register. Reply comments will be due within 90 days of such publication. 4/1. The National Association of Broadcasters (NAB) announced newly elected members of its Board of Directors. See, NAB release. 4/1. President Obama announced his intent to appoint Hyman Bass (University of Michigan), Carlos Chavez (Arizona State University), and Joseph Francisco (Purdue University) to be members of the President’s Committee on the National Medal of Science. See, White House news office release. 4/1. President Obama announced his intent to nominate Brian Deese to be Deputy Director of the Office of Management and Budget. See, White House news office release. 4/1. April 1, 2013 was the opening day for filing H1B visa applications. The Business Software Alliance (BSA) stated in a release that "There are individual software companies with thousands of unfilled jobs in research, product development, and engineering. Across the economy, the Bureau of Labor Statistics has predicted that between 2010 and 2020 there will be at least 1.2 million job openings in computing professions that require a bachelor’s degree. But the National Center for Educational Statistics says we’re on pace to produce less than half that many graduates." 4/1. The New America Foundation (NAF) released a paper [20 pages in PDF] titled "Mobile Leapfrogging and Digital Divide Policy: Assessing the Limitations of Mobile Internet Access". The authors are Philip Napoli (Fordham University) and Jonathan Obar (Michigan State University). This paper states that "policymakers should be cautions about promoting mobile access as a solution to the digital divide". This paper states that mobile leapfrogging occurs when new internet users gain access to the internet via mobile devices, rather than than personal computers. And, it is not the same, because of the "more limited functionality of mobile Internet devices and networks". 4/1. The Semiconductor Industry Association (SIA) announced in a release that "worldwide sales of semiconductors reached $23.25 billion for the month of February 2013, an increase of 1.4 percent from February 2012 when sales were $22.93 billion." However, worldwide sales are down from late 2012, and from January of 2013. See, SIA tables [PDF]. The SIA's Brian Toohey added that the federal government should spend more money on research, "reform the high-skilled immigration system to welcome the top scientific minds from around the world, and modify the tax system so businesses can expand, invest and hire new workers". 4/1. The Office of the U.S. Trade Representative (OUSTR) released a report [112 pages in PDF] titled "2013 Report on Sanitary and Phytosanitary Measures". 4/1. Apple released a letter from CEO Tim Cook to consumers in the People's Republic of China (PRC) apologizing for failing to comply with a PRC law that requires a two year warranty on computer sales. Apple did not release an English language translation. Government controlled web sites in the PRC are touting the matter. See, for example, piece in English version of the People's Daily Online. Also, the PRC's Xinhua English web site wrote in another piece that "The State Administration for Industry and Commerce said it has issued a notice asking local industry and commerce authorities to enhance legal supervision over Apple's imparity clauses in its warranty policies." 4/1. The Department of Commerce's (DOC) National Telecommunications and Information Administration (NTIA) published a notice in the Federal Register (FR) that announces the schedule for upcoming meetings regarding mobile application transparency. These meeting will be from 1:00 to 5:00 PM on April 30, May 23, and June 11, 2013, at the American Institute of Architects, 1735 New York Ave., NW. See, FR, Vol. 78, No. 62, April 1, 2013, at Pages 19461-19462. 4/1. The U.S. Patent and Trademark Office (USPTO) published a notice in the Federal Register (FR) that announces, describes, recites, and sets the effective date and comment deadline for, its "interim final" rules of practice regarding patent term adjustment. These changes implement Section 1(h) of HR 6621 [LOC | WW], which was enacted into law in the closing days of the lame duck session of the 112th Congress. These "interim final" rules are effective date on April 1, 3013. The deadline to submit comments is May 31, 2013. See, FR, Vol. 78, No. 62, April 1, 2013, at Pages 19416-19421. See also, stories titled "Obama Signs Patent, Economic Espionage and Intelligence Authorization Bills" in TLJ Daily E-Mail Alert No. 2,508, January 15, 2013, "House Passes Rep. Smith's Patent Bill" in TLJ Daily E-Mail Alert No. 4,494, December 19, 2012, and "Rep. Smith Introduces Patent Bill" in TLJ Daily E-Mail Alert No. 2,487, December 10, 2012. 4/1. The Federal Communications Commission (FCC) published a notice in the Federal Register (FR) that sets comment deadlines for its March 14, 2013 Public Notice [4 pages in PDF] requesting comments to refresh the record regarding fraudulent 911 calls made from Non-Service Initialized (NSI) devices, blocking NSI devices used to make fraudulent 911 calls, and other possible solutions to the problem of fraudulent 911 calls from NSI devices. The deadline to submit initial comments is May 16, 2013. The deadline to submit reply comments is May 31, 2013. This PN is DA 13-430 in EB Docket No. 08-51. See, FR, Vol 78, No. 62, April 1, 2013, at Pages 19442-19443. Go to News from March 26-31, 2013.